Lucky for me, my salty tears added some flavor and sauce. 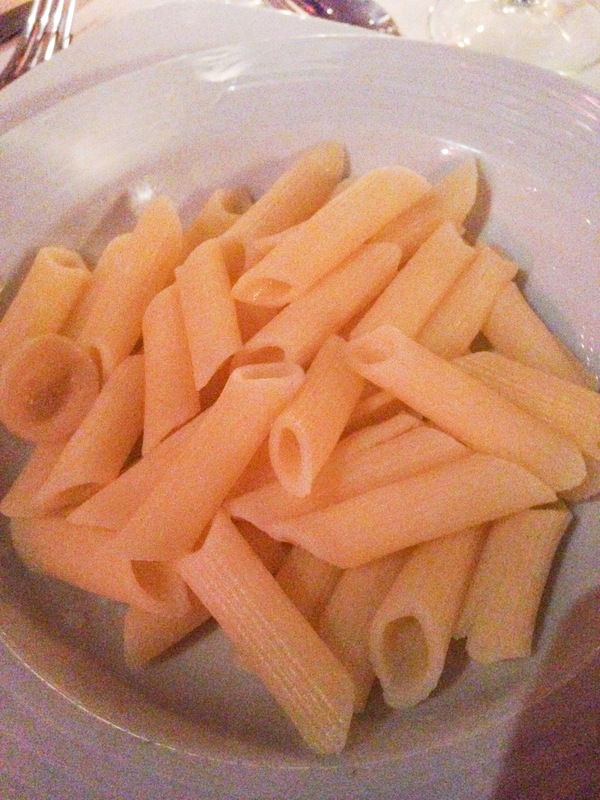 Unlucky for me, the pasta was so overcooked it was mealy. It’s ok though, they really spiced it up with that one Orecchiette! I had a very similar experience at a recent wedding. It was penne pasta like you showed with some canned veggies. Yikes! Do you have a photo by chance? We’d love to post it! I wish I did, but I don’t! Imagine the picture above and then a sprinkling of bell peppers…no bueno!